Friday's landmark verdict by Pakistan's Supreme Court to disqualify Prime Minister Nawaz Sharif from holding office and finding him guilty for accumulating assets beyond his known sources of income, may have a resounding impact on that country's political landscape, but by no stretch of imagination, can we expect Pakistan's foreign or defence policy towards India undergoing any change. No change either should be expected whatsoever in the status or standing of the Pakistan Army or its Inter-Services Intelligence (ISI) agency vis-a-vis policy towards India. As such, the quad erat demonstrandum can only be expected to be business as usual. India, needless to stress, must maintain its guard and keep its powder dry in the wake of the changes taking place across the border. No matter who replaces Sharif, there will be no change with regard to dealing with various terrorist organizations operating from Pakistan's soil and their leaders. Pakistan's policies towards Afghanistan and Bangladesh, where its terror is being exported, will also very likely be status quo. And, as far as China is concerned, the latter will ensure that its interests in Pakistan are not affected. The Panama Papers were an unprecedented leak of 11.5million files in 2016, from the database of the world's fourth biggest offshore law firm, Mossack Fonseca. The records were obtained from an anonymous source by the German newspaper Süddeutsche Zeitung, which shared them with the International Consortium of Investigative Journalists (ICIJ), which in turn shared them with a large network of international partners. The documents reveal how in various ways the rich and powerful can exploit secretive offshore tax regimes. Twelve national leaders are among 143 politicians, their families and close associates from around the world, who are known to have been using offshore tax havens. Among national leaders with offshore wealth was Pakistan's Prime Minister Nawaz Sharif. The high-profile scandal is about alleged money laundering by Sharif in 1990s, during his two tenures as prime minister. He used the money accumulated to purchase assets in the United Kingdom, which included four expensive flats in Park Lane, London. Information about the assets surfaced through the leak of the Panama Papers last year. It was revealed that several offshore companies were owned by three of Sharif's children. 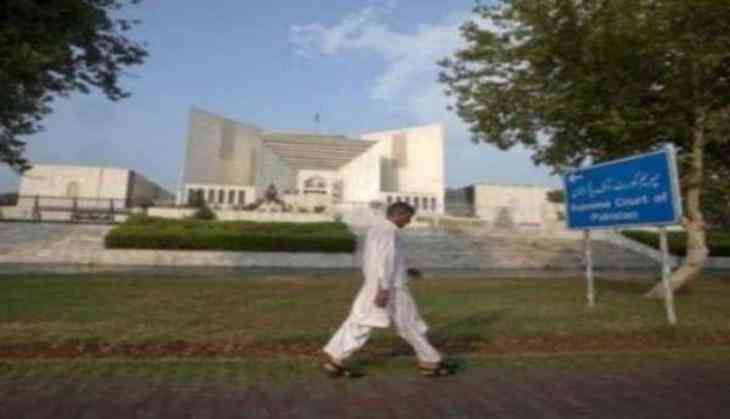 Following petitions filed by the opposition Pakistan Tehreek-e-Insaf, Awami Muslim League and Jamaat-e-Islami, in October 2016, a six-member Joint Investigation Team was set up by Pakistan's Supreme Court in May 2017, with the mandate to probe the Sharif family for allegedly failing to provide the trail of money used to buy properties in London in 1990s. Investigating the charges against Sharif and his family, the JIT submitted its report to the court stating that the lifestyles of Sharif and his children were beyond their known sources of income, and recommended filing of a new corruption case against them. Sharif dismissed the report as a "bundle of baseless allegations" and refused to quit, despite demands to do so from several quarters, including opposition political parties. The apex court, which concluded hearing the case on July 21, reserved its verdict for July 28, and now, we all know what the outcome is.